“President M’Kinley Reviewing Troops at Buffalo.” American Monthly Review of Reviews Oct. 1901 v24n4: p. 415. 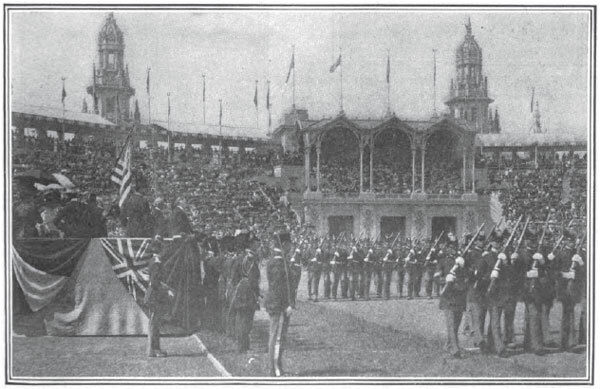 William McKinley (at Pan-American Exposition: photographs). The photograph below appears in an article by Walter Wellman titled “The Last Days of President M’Kinley: His Visit to Buffalo, the Tragedy, and the Nation’s Mourning” (pp. 414-30). Click here to read the full text of the article.